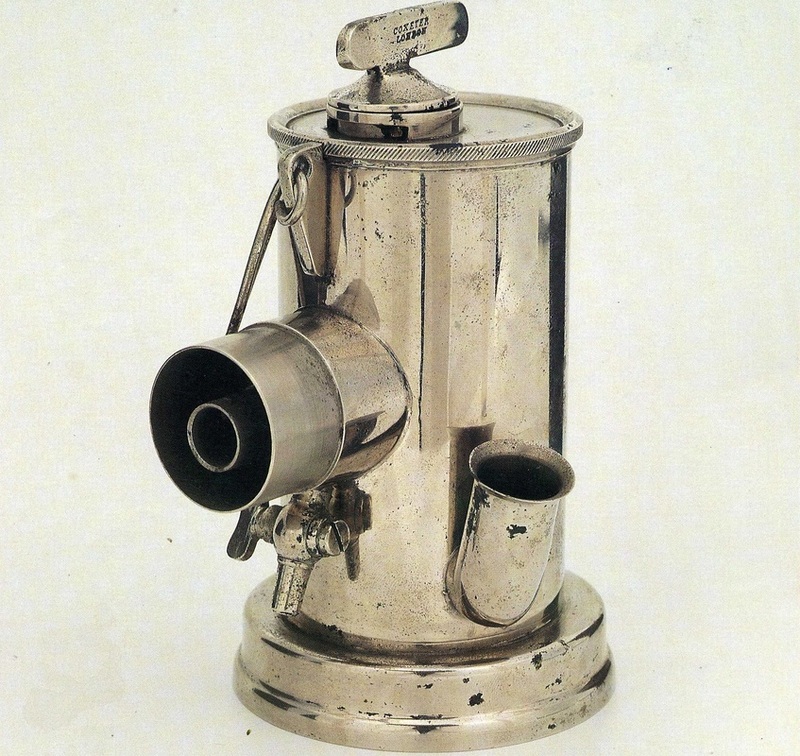 This was a modification of the double current inhaler and was first described by Clover in 1876(1). The entire apparatus (illustrated below) consisted of a cylinder of nitrous oxide, a bag and face mask and the vaporiser (pictured). The vaporiser could be used alone or nitrous oxide could be admitted by activation of a foot key, The control key on the top allowed nitrous oxide to pass through the ether chamber or bypass it and go straight to the patient. A hook (partially visible) enabled the operator to hang the vaporiser from a strap around his neck. Clover used this inhaler successfully for many years, preferring it to his later portable regulating ether inhaler. 1. Clover JT. 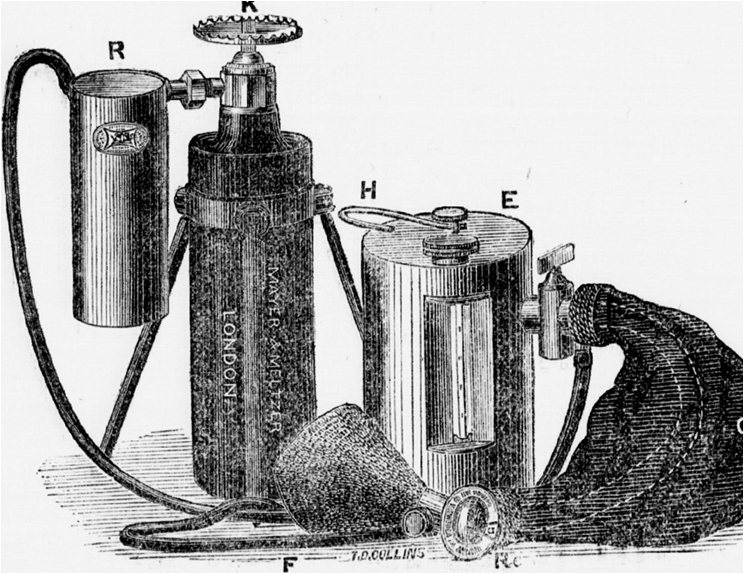 On An Apparatus for administering Nitrous Oxide Gas and Ether, Singly or Combined. British Medical Journal. 1876;ii:74-5. 1. Clover JT. Portable regulating ether inhaler. British Medical Journal. 1877;i:69-70. 2. Hewitt F. The administration of nitrous oxide and ether in combination or succession. British Medical Journal. 1887:745.